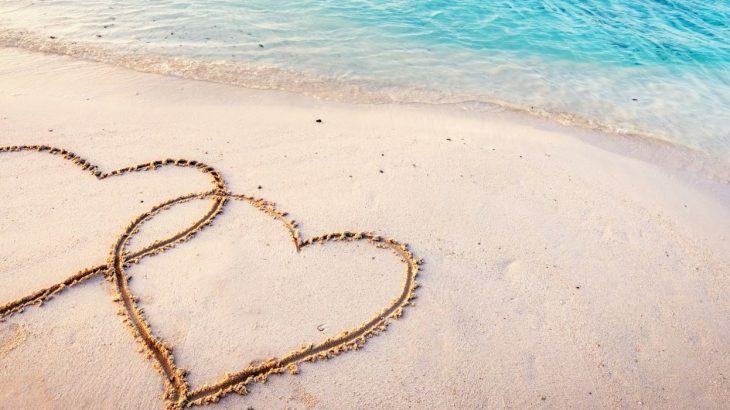 A honeymoon is the perfect excuse to plan the holiday-of-a-lifetime…or simply to find the most beautiful beach possible and bask on it for a week or two. That’s the thing though isn’t it, a honeymoon means different things to different people, and Asia can deliver for any of them! It’s got rich culture, adventure, friendly locals, incredible landscapes, paradise beaches and great cities, and it can be as easy-going or adventurous as you like. Whichever you do choose, you can be sure that you’ll be coming home full of the most incredible memories. Whatever the type of honeymoon you are imagining, Wendy Wu Tours can create tailormade holidays to your exact specifications, leaving you able to concentrate on your wedding day. So, for all of you out there who are considering honeymooning in Asia, here are the destinations that we, as the Asia experts, would recommend. Borneo is the perfect setting for honeymooners who are after a bit of everything. The Malaysian side of the island offers jungle,-mountain,-and-cave-based adventure as well as beach-based relaxation, there are also modern cities, a good infrastructure and excellent hotel options, so you can sort of ‘rough it’ in a secluded jungle lodge before styling it up in a world-class beach resort! Whether you and your beloved love animals or aren’t so keen, no one can resist the island’s incredible wildlife (orangutans anyone?) and you have to take a stroll through what is considered one of the world’s oldest rainforests! For the more adventurous couple or those who love culture, Borneo also has a rich and fascinating tribal heritage to explore – you can even spend a night with a tribal community in a longhouse for a truly authentic experience. For the extra active couple, why not start your married lives by challenging yourselves to climb the mighty Mount Kinabalu? Or to go scuba diving on some of the world’s richest reefs? Oh, and then there are the beaches…! There are some amazing hotel options available for the beach part of your break – you can find yourself on the private stretch of sand of one of the many idyllic luxury resorts, some of which occupy little islands off the coast of Sabah’s state capital Kota Kinabalu. We can guarantee you won’t want to leave! 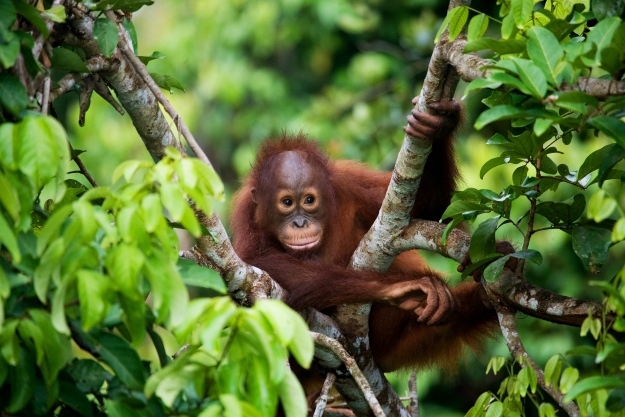 Borneo is best honeymooned between March and the end of September – July and August tend to be the busiest months. Sri Lanka has long been a top honeymoon destination, thanks to its fringe of spectacular beaches. But there is so much more to this captivating country; things that can make your honeymoon truly unforgettable. 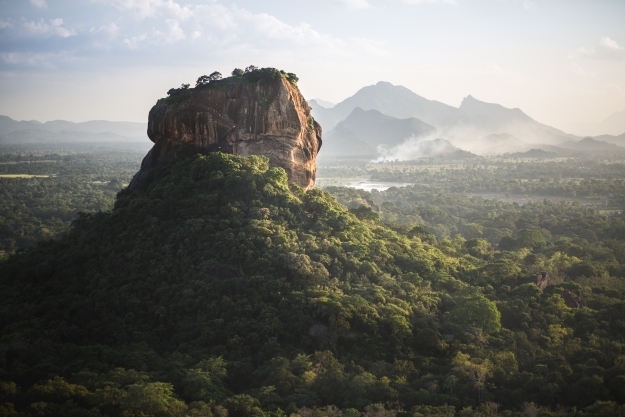 Sri Lanka, as a destination, has it all. The beaches we’ve already mentioned, but there is also ancient culture, tea plantations, wildlife-packed national parks and incredible landscapes. It also happens to be one of the world’s top spa destinations and has some fantastic boutique hotel options. Basically, you can have your cake and eat it too! For culture lovers, the Cultural Triangle is full of historical treasures, and five of Sri Lanka’s eight UNESCO World Heritage Sites, including the ancient cities of Polonnaruwa and Anuradhapura and the breathtaking Sigiriya. For the more adventurous couple there is plenty of hiking up in the spectacular highlands, as well as white water rafting, and for animal lovers, there are loads of national parks offering safaris. Yala and Udawalawe are particularly good choices – look out for elephants and leopards. The great thing is, you can pick and choose your cultural, wildlife and sightseeing activities and intersperse them with indulgent spa and beach time. Sri Lanka is a year-round destination, and can be easily combined with chill time in the Maldives. Ok, this one might be fairly obvious but that’s because it is simply a great honeymoon destination. You’ve got your tropical islands, crystal clear waters, world-renowned resorts and secluded beaches and, compared to other destinations, pretty good value for money. 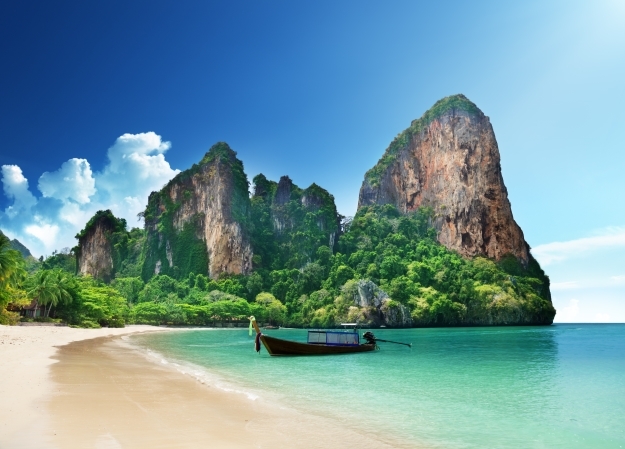 The joy of Thailand’s islands is that they each have different personalities. You can choose to spend a few days on an island with a lively scene, pop to another to learn how to scuba dive before hopping over to a luxurious and peaceful hideaway. You’ll find, though, that the spectacular glowing sunsets are common to all of them! And whilst we all know Phuket, Koh Samui and Koh Phi Phi, there are plenty of ‘hidden gem’ destinations that the masses have yet to discover – for those who don’t like to share their beach! 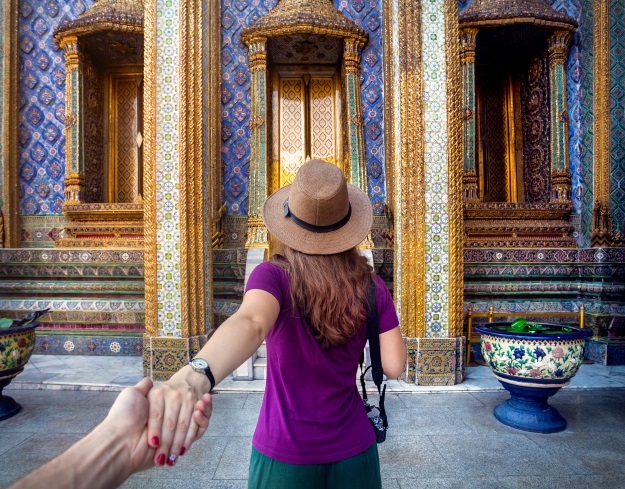 For a couple also after a bit of culture, it’s really easy to include a few days in Bangkok, Chiang Mai or Kanchanaburi to experience Thailand’s exotic culture. Those seeking all out relaxation over exploration, Thailand has so many hotel options – be they fully-staffed villas, all-inclusive resorts or spa retreats and all that’s inbetween. If you see yourselves as trendsetters, then you should consider Koh Kradan, Koh Phayam or Koh Lao Liang but note, these are perhaps more for people who are looking for a Robinson Crusoe-type getaway over all out indulgence. Bhutan is a ‘thinking outside the box’ type honeymoon destination, offering newlyweds spectacular natural beauty, adventure and culture. Located in the Himalayas, bordering India and Tibet, the mountain vistas serve up countless opportunities for romance, and the luxurious hotel options mean that you can indulge in some all-out pampering too! The people of Bhutan are happy – you can’t really blame them when you see where they live, but it rubs off on those exploring the country. 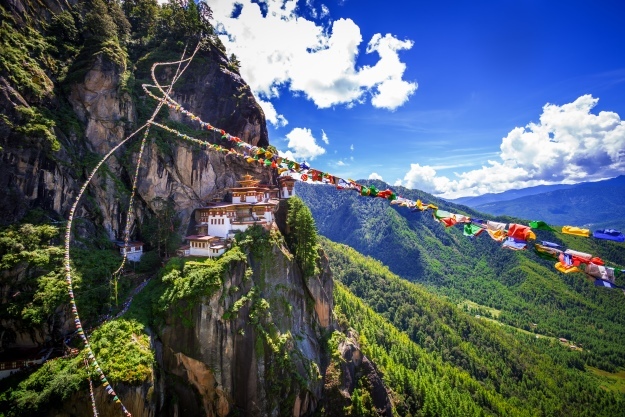 The government here measure prosperity by ‘Gross National Happiness’ rather than money, and have measures in place to protect both the environment and Bhutan’s rich culture. Here, it’s all about cultural experiences and savouring the beauty of the world – Bhutan is good for the soul. Bhutan is definitely a destination for the more adventurous couple as exploring it involves a lot of travel. There is also plenty of hiking and white water rafting to provide that adrenaline rush. For those after a more spiritual experience, it is possible to have your marriage blessed by a high monk in a traditional ceremony…and the landscapes are pretty spiritual in their own right! For culture vulture couples, Bhutan has one of the world’s richest, most untouched cultures and there are lots of experiences available that highlight it. Bhutan can be visited at any time of year, but it’s best to avoid May to August, with the build-up and then coming of the monsoon. Another unique honeymoon choice is Japan, a nation with a magical ambiance. It’s deep rooted culture and traditions make it the ideal destination for those looking to experience something completely different, and there are plenty of activities available to help your truly delve into all things Japanese. As well as culture experiences, Japan is known for its impeccable hospitality. You’ll find this particularly true of the high-end hotel options. You can treat yourself and go for a stay in an international five-star option or enjoy something much more traditional with a romantic ryokan stay, complete with private onsen. One big advantage of Japan is its modernity and infrastructure. Travelling here is quick and easy, albeit quite expensive, but if you want once-in-a-lifetime this is certainly the place to find it. For the couple who want a bit of culture and a bit of beach, Japan can offer both. Spend time in culture hub Kyoto, explore high-tech Tokyo and then hightail it down to the tropical islands of Okinawa for some beach time. If it is peace and quiet that you desire then head outside of its cities. Japan provides incredibly beautiful rurality and a range of spectacular landscapes – perfect for relaxation or for something more active, such as hiking. Culturally-hungry newlyweds should add fascinating experiences into their itinerary, such as spending a night on Koya San, taking part in a green tea ceremony, spending time with a geisha…the possibilities are endless! 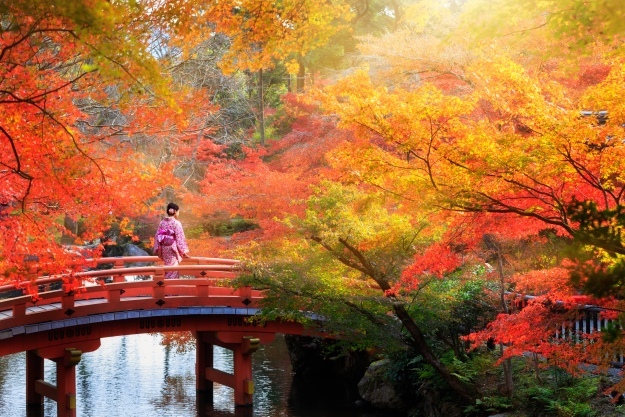 This country is a year round destination – book a Japan tour in spring to sample the magic of the cherry blossom season, or autumn to admire the fall colours. General Asia, honeymoon, top things to see, wendy wu tours. permalink.